What is the Real Standard of Care? Are Dental Implants for Crowns or Dentures? Are Dental Implants Made From Titanium, Base or Precious Metal, Ceramic, Plastic, or All the Above? Do I Need Dental Implants, and How Many? Can Back or Foot Pain Really Cause My Teeth to Fall Out? 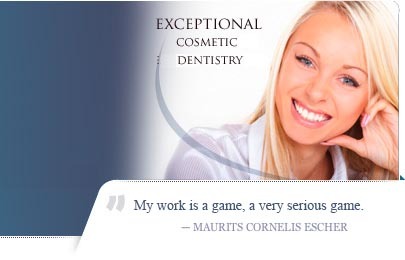 Did You Know That Cosmetic Dentistry Can Make You Look Younger? As we age, our teeth suffer wear and tear, making them flatter and shorter – and that can affect how our lips and jaw line look. And if you’re missing teeth or caught in the “nightly grind,” your mouth may appear to shrink as your jaw protrudes into an overbite. What to do? says Dr. Jeffrey Miller, whose energetic talk gives you the latest scoop on what’s happening in this exciting field. “A smile makeover can do so much more than give you a dazzling smile,” he adds. “In some cases, it can make your lips look fuller, your jaw line more youthful, and even minimize or eliminate fine wrinkles.” You’ll learn surprising facts like these as Dr. Miller demystifies everything from implants and laser fillings to the new, super-thin veneers that can often be painlessly applied without numbing or extensive prep work. But that’s not all. 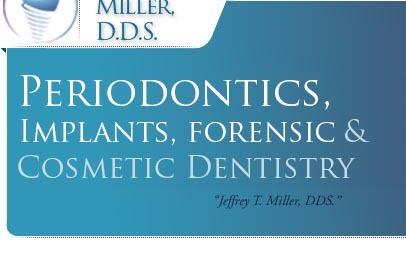 Dr. Miller reveals inside information your dentist may not want you to know. You’ll learn how dentists really feel about insurance plans, and how (to compensate for underpayment), some may even “up sell” you on procedures you don’t need. Dr. Miller shows how to protect yourself from scams by dentists and insurance companies as you upgrade your smile. You’ll leave his enlightening talk armed with inside tips from an expert who’s willing to tell it like it is so that you and your family can get the most from your dental care. How does your dentist really feel about insurance plans? And which plans pay him or her the most – PPOs or HMOs? “Dentists with PPO plans get reduced fees from the insurance company – and an HMO pays zero, or close to it, for many procedures,” says Miller. “In fact, most dentists are not happy with insurance plans,” he adds,.” So how do they cope? “Sometimes by selling you services you don’t need or upgrading you to ones not covered by your plan,” he explains. So if you’ve ever wondered if you really need that irrigation or deep cleaning the dentist is touting, or which insurance plan is best, don’t miss this tell-all talk. Veneers: Would you like porcelain or plastic? Which material is strongest? Which looks more natural? Do veneers strengthen or weaken your teeth? Can they be used for large fillings? If you grind your teeth, will that destroy the veneer? Can veneers ever be substituted for orthodontry? Can they restore your bite? You’ll learn everything you’ve wanted to know – and more! Did you know that implants can do more than just replace missing teeth? They can anchor dentures, and temporary implants can even be used to straighten teeth. (The implants are later removed.) Find out if implants can solve any of your dental problems, and if they’re right for you. Does daytime stress make you grind your teeth at night? Grinding can do more than sand down your teeth – it can make your jaw sore and even cause headaches! Learn how the latest advances in night guards and veneers can bring quick relief. Is Sedation Dentistry safe? Can it be done in your dentist’s office? Do they give you a general or local anesthetic? How will you feel afterward? What kind of sedation is right for you?